Here is my entry for don't be deceived challenge day 4. 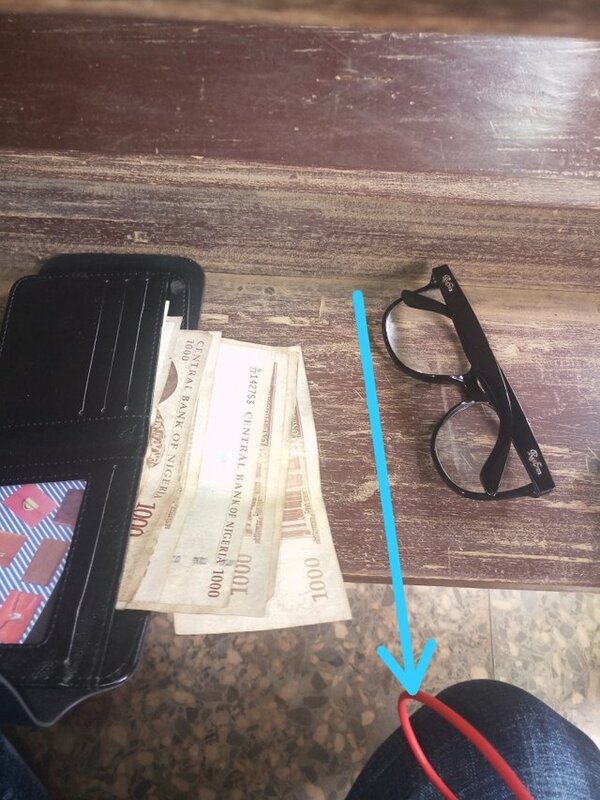 The point is to distract people's attention from the most relevant thing in the picture, could be food, gadgets, bumbum, a big breast, money, something you just bought etc to something irrelevant in the picture. Divert people's attention from that thing you have snapped to something less irrelevant in the picture. Nominate 5 people each day. You mean anybody can have thousands of naira notes in a wallet? doing great job likee it.